Groundbreaking journalist, maverick editor, and visionary publisher, Eugenia Duran Apostol, who turns 80 this year, has not stoppped thinking of what else she can do for her country as citizen and journalist. Far from easing into retirement after leaving the Philippine Daily Inquirer as founding chair in 1992, she set up the Foundation for Worldwide People Power four years later, Hu!Ha! magazine in 1997, and Pinoy Times in 1999. Three years ago, she launched the foundation’s adopt-a-school program, which today has become a nationwide campaign to help uplift public schools. In 2004, the University of the Philippines College of Mass Communication honored Apostol with its first Plaridel Award for most outstanding print media practitioner. The award, named after Marcelo H. del Pilar (nom de plume, Plaridel), recognized Ms. Apostol’s high level of professional integrity and public service. She wrote her speech for the awarding ceremony in English and in longhand, and it was translated into Filipino, as requested by the awarding body, by her brother-in-law, Dr. Onofre Pagsanghan. 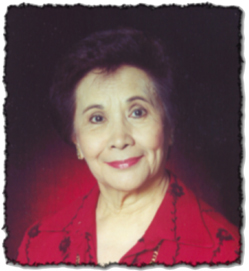 Apostol’s Plaridel lecture narrates her keening political awareness during the tail end of the Marcos regime, as publisher of a fledgling Philippine Daily Inquirer. It reflect’s a counterpoint of interests: how the tumultuous events leading to Marcos’s ouster inspired her to put up a broadsheet daily, the budget woes of a persistent CEO, and the auspicious confluence of forces that led the PDI to flourish and become the media’s effective tool in inspiring political consciousness and democratic action.